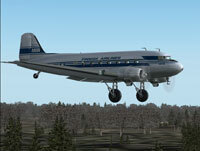 A repaint of the default DC-3 / C-47 as the Finnish Airveteran, registration OH-LCH. 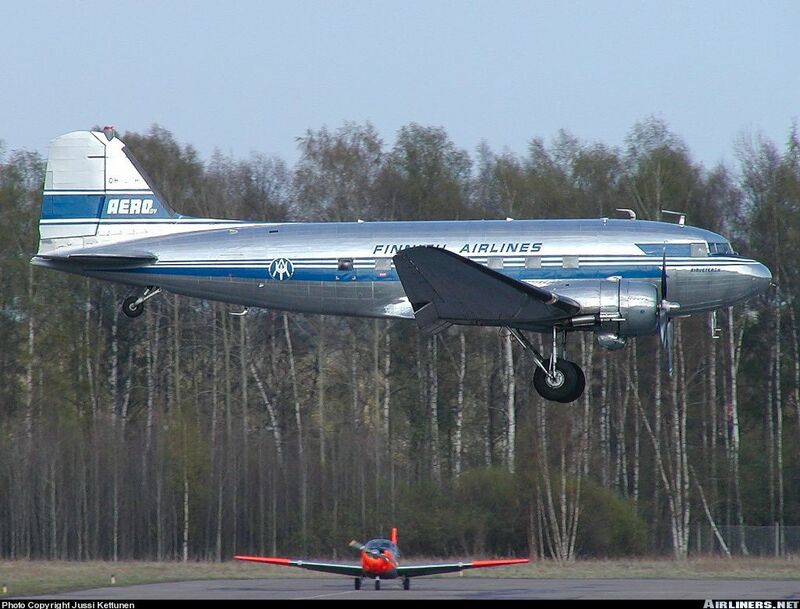 One of the six DC3's still flying in Scandinavia today. This is a texture only, not the whole plane. Based on the repaint kit by Mark Beaumont. Aircraft photo by Jussi Kettunen. Painted by Kim Dahl. 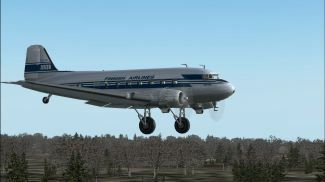 Screenshot of Airveteran Douglas DC-3 flying low above the trees. 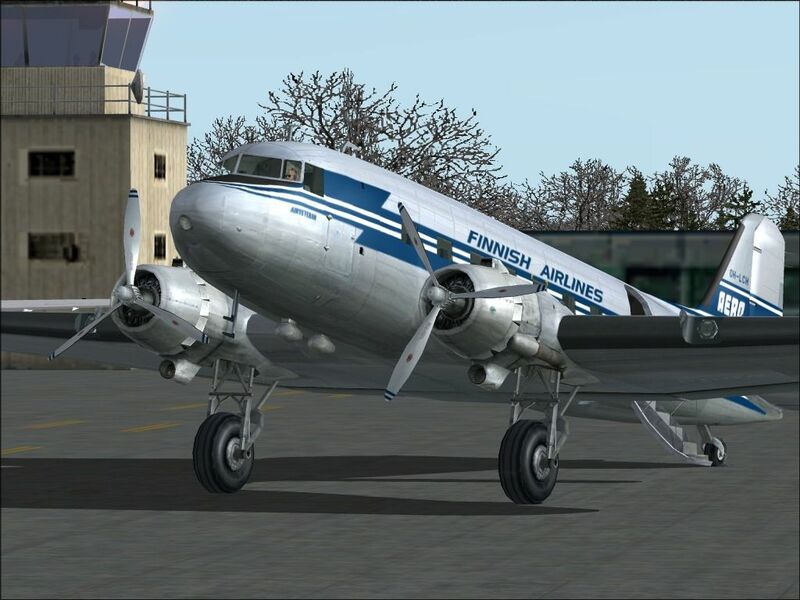 This is a repaint of the default DC-3 as the Finnish Airveteran OH-LCH, one of the six DC-3's still flying in Scandinavia today. It was completed on Dec. 24th 1942, and was delivered three days later to the US Air Transport Command, North Atlantic Wing . In November 1943 transferred to serve as a troop carrier in Europe with the European Wing. In October 1944 it was transferred to the 8th Army Air Force until the end of the war, and later stored in Oberpfaffenhof, Germany. 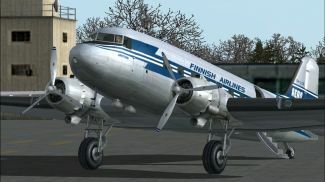 It was bought by the Finnish government in 1948 to fly as a passenger plane for the Finnish operator Aero Oy, and later on it served in the Finnish Air Force from 1970 till 1985. Today, after more than 33.000 hours of flight, she is still going strong! Since this is a repaint of a default Microsoft plane there are a few details that are not accurate. The windows are misplaced, and the cargo door is missing on the model (but that's missing on the default "cargo" version too!). The worst bit though is the mirroring of the textures which causes the AERO Oy logo to be mirrored on the right side of the tail. 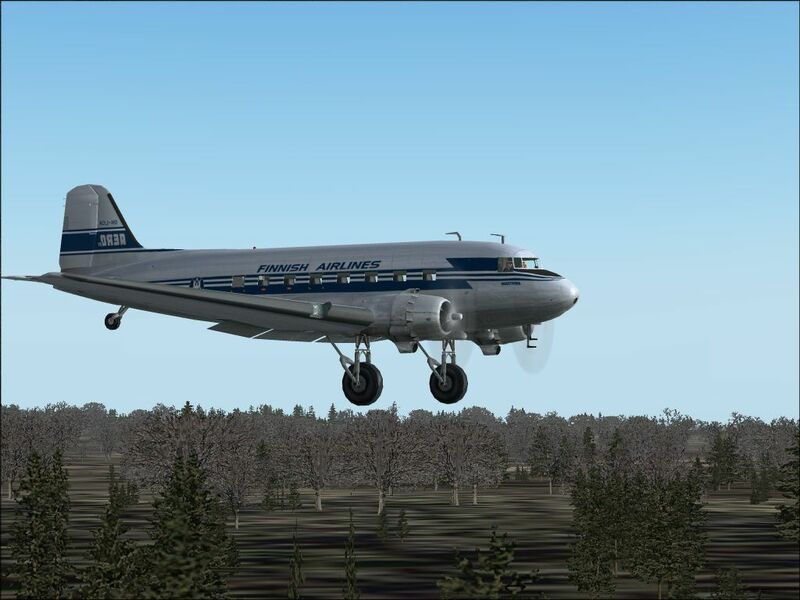 description="The Airveteran OH-LCH is one of the six DC-3's still flying in Scandinavia today. It was completed on Dec. 24th 1942, and has served as a troop carrier in Europe during WW II. 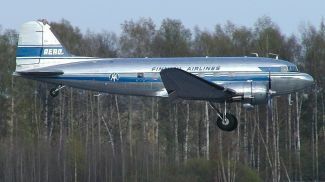 From 1948 it flew as a passenger plane for the finnish operator Aero Oy, and then served in the Finnish Air Force from 1970 till 1985. After more than 33.000 hours of flight she is still going strong! 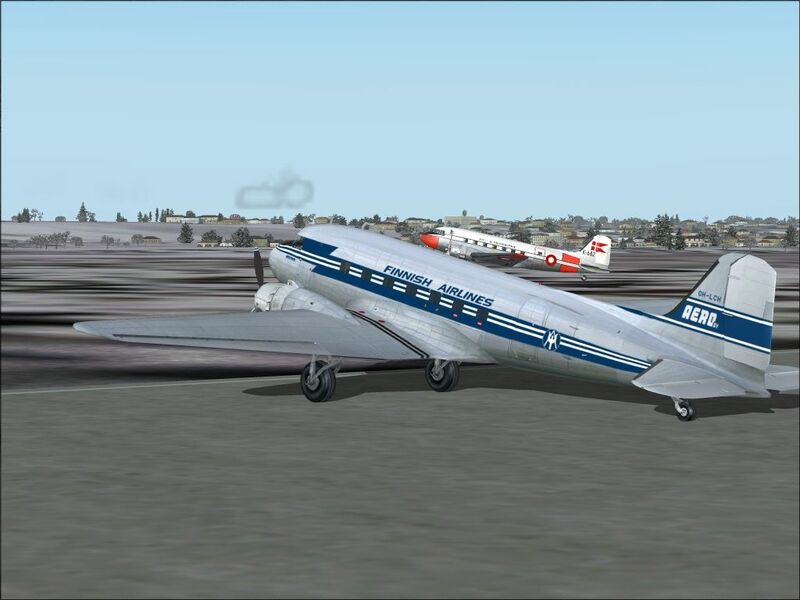 Repaint of the default DC-3 by Kim Dahl using the DC-3 repaint kit by Mark Beaumont. March 2004." That should be just about it. 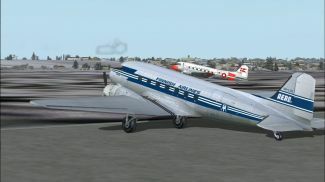 Start your FS2004 and find the Finnish Airveteran in the Douglas DC-3 section. The archive fs9ohlch.zip has 18 files and directories contained within it.